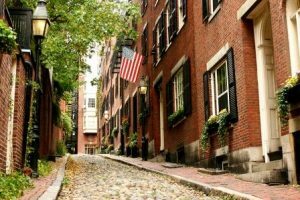 As one of the oldest cities in the United States, Boston is a stop in history on a crewed yacht charter itinerary in New England. 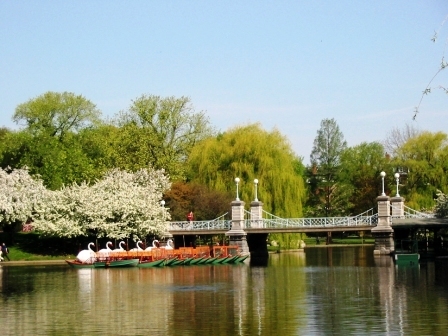 The city’s Greater Regional Area is split by the Charles River that ends in the harbor and is navigable for smaller yachts. Out in the harbor is the Boston Harbor Islands National Recreational Area comprised of a surprising number of harbor islands such as Calf Island, Gallops Island, Great Brewster Island, Green Island, Little Brewster Island, Little Calf Island, Long Island, Lovells Island, Middle Brewster Island, Nixes Mate, Outer Brewster Island, Rainsford Island, Shag Rocks, Spectacle Island, The Graves, and Thompson Island, all of which can be seen as you wend your way into the Inner Harbor dockside on a crewed yacht charter including Boston on your yacht charter itinerary. Boston was founded in 1630 by Puritan Colonists from England in search of religious freedom. The first settlement was on the Shawmut Peninsula, headed by the harbor and on the northern side bordered by the Charles River. The downtown area and the North End right on the harbor were the first areas to be developed. This city was a hot bed of revolutionary activity during the fight for freedom from British rule, and there are several important historic sites remaining including the location of the Battle of Bunker Hill. Dock downtown in Boston, and head ashore to wander the streets of the North End, now with a strong Italian cultural feel, to visit the Old North Church the starting location of the famous Revolutionary War midnight ride of Paul Revere. 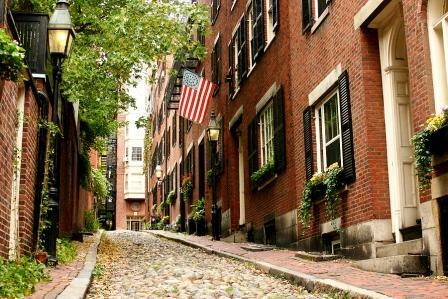 Follow the Freedom Trail out of the North End and across to the Boston Commons, visiting various marked historic sites along the way. 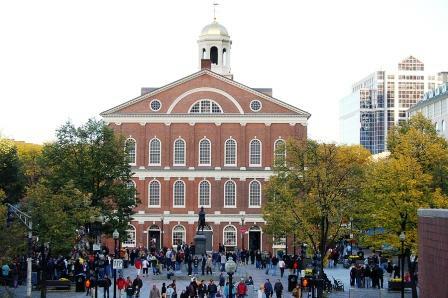 The old market area near the harbor, with the original customs house of Faneuil Hall, has undergone a successful adaptive reuse to become today a bustling area filled with shops, restaurants, bars and in the summer months featuring great outdoor entertainment with wandering musicians, magicians, tumblers, stilt walkers, mimes and others adding to the festive feel. In the center of old Boston, bordered on one side by Beacon Hill and the other by Back Bay, is the Boston Commons, once the common meadow area for animal grazing, and now a lovely city park, with the famous Swan boats. On Beacon Hill and in Back Bay are townhouses of the once and perhaps still rich and famous of Boston history, interspersed with shopping streets such as Charles Street at the bottom of Beacon Hill, filled full of antique shops, or Newbury Street in Back Bay with international shops filled with goods with famous labels. 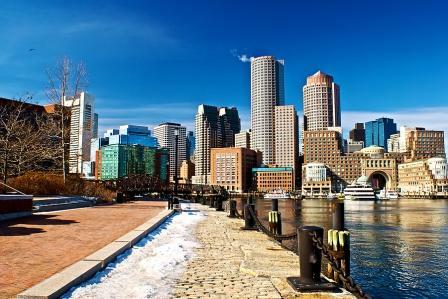 Boston is considered a center of education and culture with over 100 colleges and universities in the Greater Area. The most well known probably being Harvard, M.I.T, and Radcliffe. These educational institutions have attracted an international group of students and have become centers for cultural, scientific, philosophic, and artistic growth. And beyond the city educational centers, such as Harvard Square, are the Boston Symphony Orchestra, numerous theatres, the Boston Opera Company, the Museum of Fine Arts, and the Isabella Stewart Gardner Museum, all well worth visiting or purchasing tickets for play or performance. Down on the water this city is a major east coast seaport and one of the oldest continuously operating fishing ports in North America. 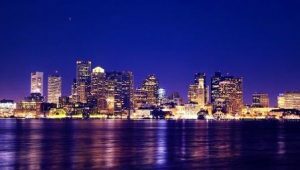 A natural protected harbor on Massachusetts Bay, the Port of Boston has been used as a trading center since before colonial times, and now is a natural safe protected stop on a yacht charter itinerary in New England.